Azerbaijan, which is said to play an important role in supporting the Organization of the Petroleum Exporting Countries (OPEC) production cutback initiative, may soon become the cartel's latest member. 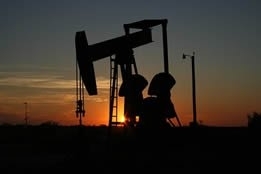 That was the sentiment expressed by two sources familiar with the matter, who told Reuters that OPEC and Azerbaijan are discussing deepening cooperation, including possible Azeri membership. Supposedly, some of the talks took place when Mohammad Barkindo, secretary-general for the cartel, visited Baku from March 17 to19, holding discussions with Ilham Aliyev, the Azeri president, on Sunday, and with Parviz Shahbazov, the Azeri energy minister, on Monday. One thing is certain: Barkindo was vocal in his praise of the former Soviet republic, expressing his gratitude in Baku for supporting the OPEC deal and noting that the continued cooperation between the two parties define the most beneficial actions for supporting oil prices on the world market. Barkindo otherwise did in Baku what he is rapidly becoming renowned for on the international front: portraying OPEC as the harbinger of a properly balanced global crude market while at the same time stressing that stockpiles are still to high to risk abandoning the cutbacks. He told members of a briefing on Monday, "The worst is probably over for now: we are beginning to see light at the end of the tunnel, but we still have some work to do because we still have inventories that are higher than the five-year average." While Barkindo's pro-cutback stance is understandable, it would arguably be more persuasive had not Saudi Arabia pointed out on numerous occasions that the metrics used by the cartel may not be comprehensive enough for pundits to truly state that the market is close to balance.